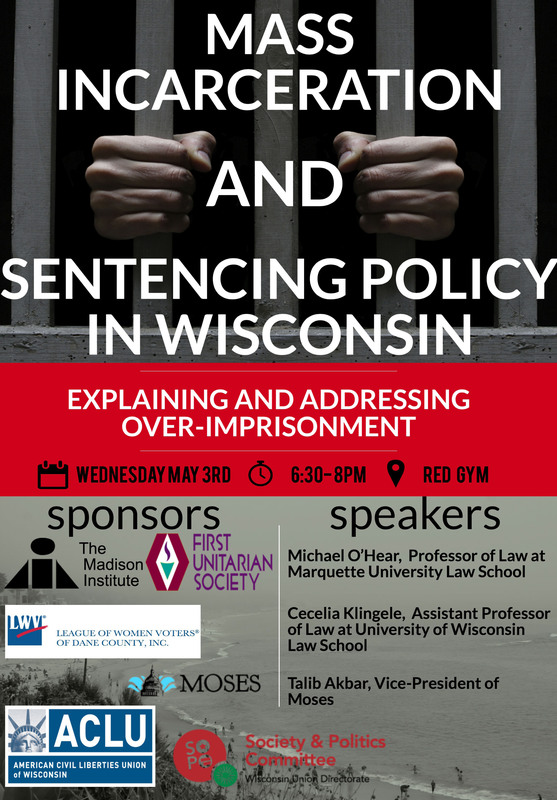 The Madison Institute is sponsoring a panel on Mass Incarceration in Wisconsin. Speakers are Professor Michael O’Hear (U.W. Milwaukee) and Professor Cecilia Klingele (U.W. Madison Law School) and Talib Akbar, Vice-President of MOSES and a former prisoner.